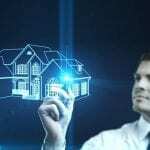 Real estate is a highly profitable industry and the good news is there are many different ways to invest and profit from it. Of all real estate investing strategy, house flipping remains to be on top of the list. What awaits for house flippers this 2017? Is house flipping still a profitable investment strategy? Are the conditions of the real estate market favorable for flippers? Following the uncertainty of the presidential election last year, a lot of real estate investors want to find out whether 2017 is a great year for them. The good news is things are turning up again. The overall forecast is that there will be a modest growth in home values. The demand for real estate property will be significantly high, including the demand for rental property. On the other hand, there will also be affordability challenges and higher mortgage interest mortgage. There are a few downfalls, but they can be remedied through the easier lending scheme and employment growth. There are many opportunities waiting for real estate investors. In various places in America, you can find thousands of vacant homes. 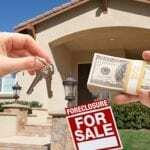 You can find a lot of house flipping worthy properties from foreclosures and bank owned properties and avail such properties is pretty easy because the lenders speed up the process. The property should be ripe for upgrading so that you can sell it at a much higher price. The property should be purchased at a discount price so that you will have more room for repair, sell the property at a market rate, and be able to make a huge profit. The average profit from flipping houses is over $60,000. As the number of distressed properties continues to increase and new home construction is pushing real estate prices to new highs, 2017 is expected to be beneficial to all types of house flippers. House flipping is not the only way to make money in the real estate business. There are many other ways such as crowd funding and real estate investment trust. However, these methods lack security and highly volatile. They offer skinnier yield considering that the mortgage interest rate is on the high side. Should you wish to invest in rental properties, the profit potential is also high. It is perfect for people who want to have a steady cash flow and build long term wealth. However, you need to devote your time finding great rental property deals. It is quite difficult to find rental properties, but once you find one, you will surely enjoy a continuous flow of money. Just keep in mind that rental properties do not deliver big lump sum of cash in short term. If you don’t like doing house flip or manage a rental property, then you could perhaps do wholesaling. It is flipping in some sort, but without the fixing part. 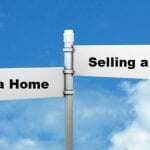 If you are the type of person who is not interested in improving the property, then a wholesaling method can work for you. Wholesaling is a viable investment option this year, but the profit you make is not as huge as house flipping. If you want to maximize your profit potential, then house flipping is still an ideal investment strategy for 2017. 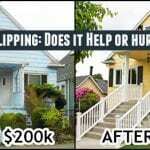 There are tons of house flipping worthy properties out there and it is up to you on how you can maximize your profit from flipping houses. It is always a smart decision to ask help from real estate experts.